11 x 15 painting of Supergirl, Melissa Benoist, from a photo - done for our November Madness sales. Painting done in watercolor and prismacolor pencil on watercolor paper. 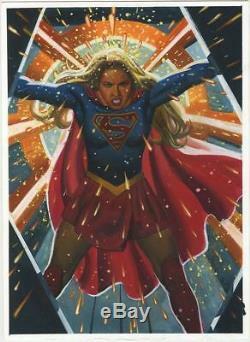 Back of painting reads "Supergirl" OCT 2018 W. & Colored Pencil with Steve's SR signature. Listing and template services provided by inkFrog. 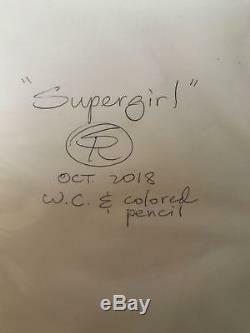 The item "Steve Rude Supergirl Watercolor and Prismacolor Painting Melissa Benoist" is in sale since Thursday, November 8, 2018. This item is in the category "Collectibles\Comics\Original Comic Art\Other Original Comic Art". The seller is "steve_rude" and is located in Litchfield Park, Arizona.